The microbiota plays an important role in several body functions and is correlated to various diseases and dysfunctions. 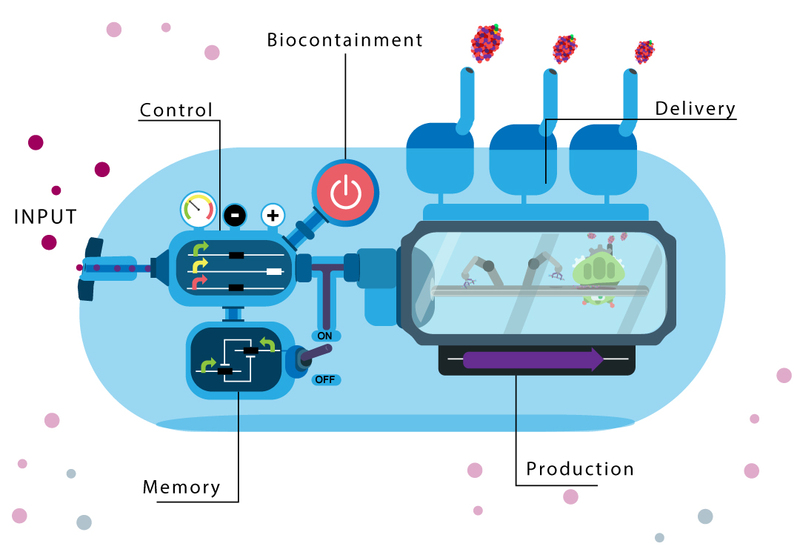 For that reason, probiotics are being engineered to sense and control the production and delivery of therapeutic molecules, along with biocontainment modules to provide the biosafety needed for them to be used as living therapeutics. To help future teams and scientists interested in engineer probiotics, our team created this collection with parts that have been used and created in the last years by iGEM teams to engineer probiotics using the most common probiotic chassis: Escherichia coli and Escherichia coli Nissle, Lactococcus lactis, Bacillus subtillis and Lactobacillus species. The collection is organized into 4 categories: sense and control; production and delivery; memory and biocontainment, and according to the chassis in which that part was used or built. In that way, we hope to help people find the necessary modules and parts to build robust living therapeutics. If your iGEM team is working or has worked with engineered probiotics, please feel free to help this collection grow by labeling your parts in these categories.